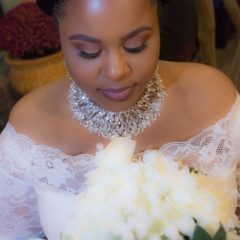 Meet Keva, our second featured bride with Petite Weddings. 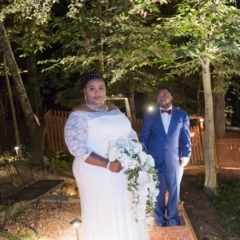 What is Petite Weddings? you may ask. 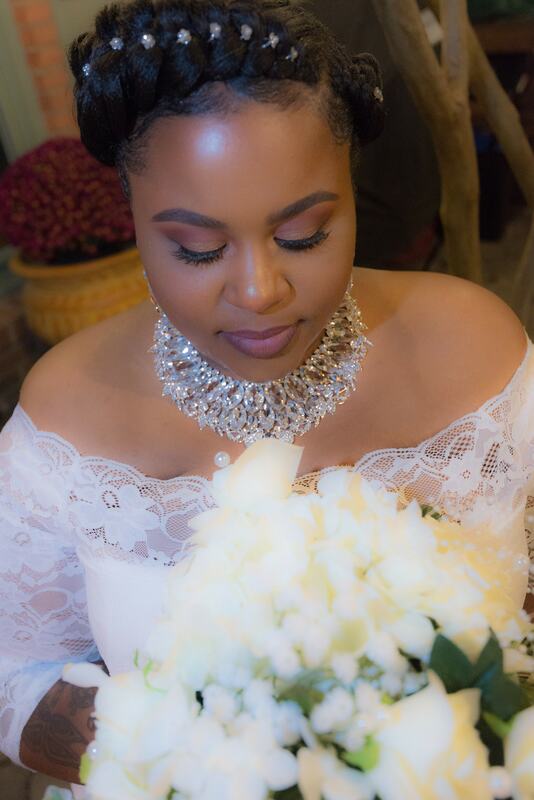 It is exactly how it sounds – a small, intimate wedding where we, Sanctified Decisions and Dreamgate Events, take care of all the details, down to the minute, petite ones! 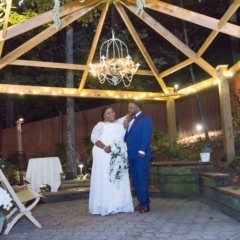 The Petite Wedding venue is located on the property of Sanctified Decision. 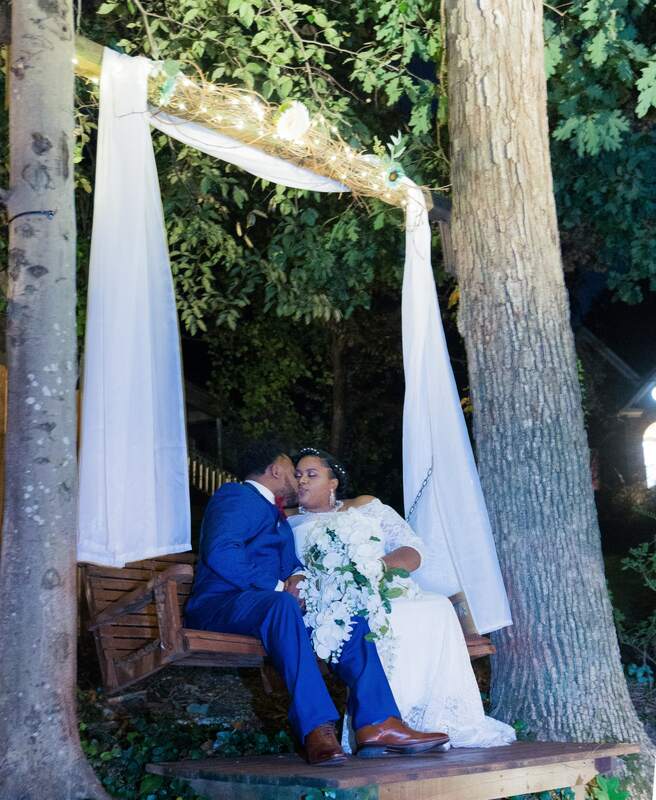 “The venue has a lovely elevated arbor and stairway, finished with lighting and the most adorable decorative touches that you could imagine. I couldn’t believe that I was having my wedding in such an exclusive place. Everyone mentioned over and over again how much they enjoyed the scenery. I would recommend it in a heartbeat,” says Keva. 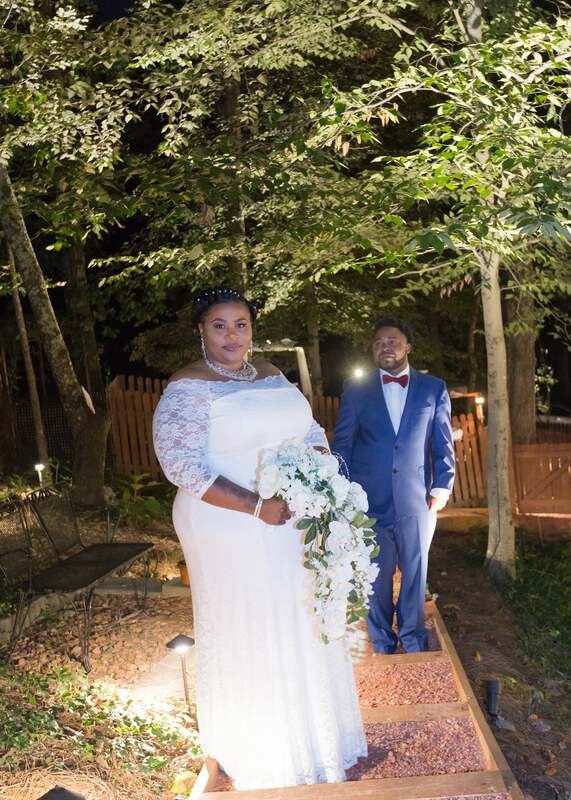 Keva was joined by her fiancé, of course, their two children who were the best man and bridesmaid and their family from Tennessee. “Our daughter stood next to me and our son stood next to him. 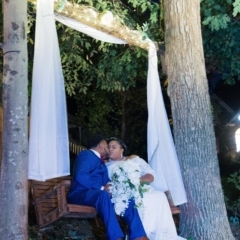 We felt that it would be an awesome way to incorporate them into the ceremony. 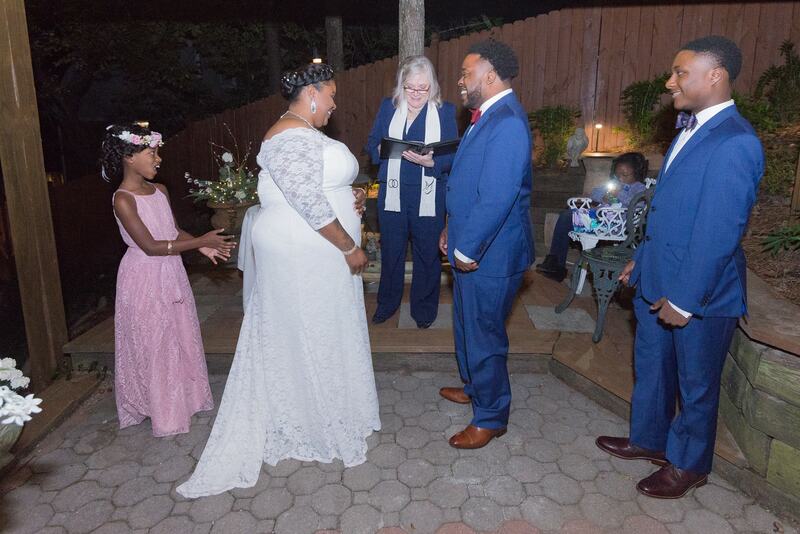 We trusted my son enough to hold the rings for us both,” she says. 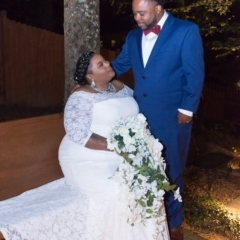 The music was of most importance to Keva and her fiancé because “we wanted something that represented us as a family.” As her husband and son got into place “Canon in D major” played, and a piano version of “1000 Years” for their daughter and Keva to walk down the aisle to. 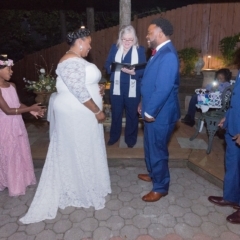 “Voyage to Atlantis” by The Isley Brother was played for the first dance after the couple said “I do.” All music was done through Sanctified Decisions Bose sound system. 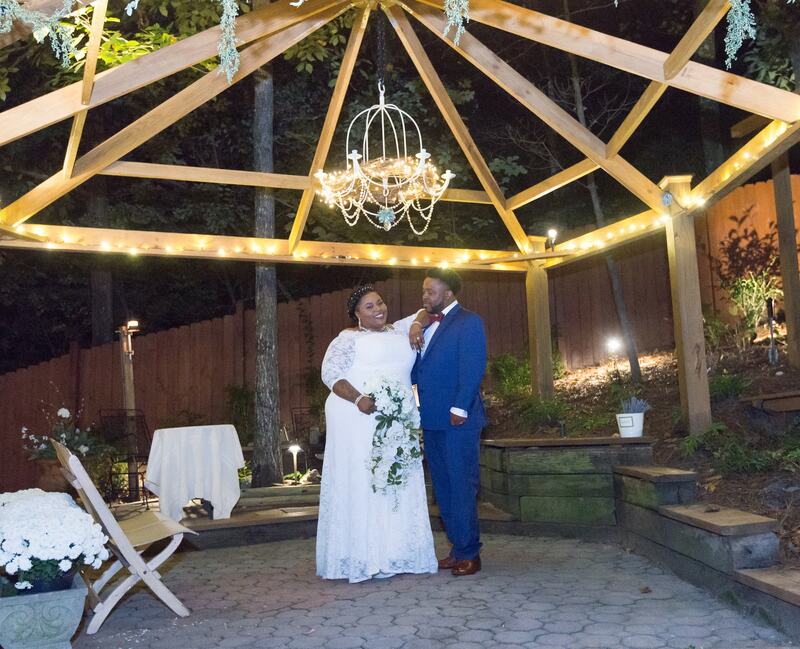 My worries were eased, and the wedding was divine. However, what is a wedding without a comical moment? “One of the funniest things I can remember from that day happened during the ceremony when Donna asked for the rings, and my son went fishing through his pockets frantically. He finally pulled them out with a sigh of relief,” Keva laughs. 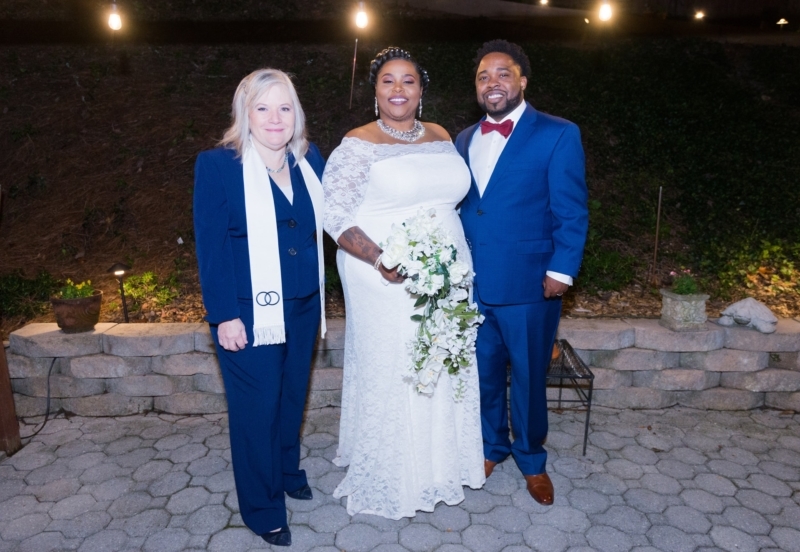 Keva and her husband’s love was evident on their special day as they vowed to honor one another and to continue to keep their family at the center. 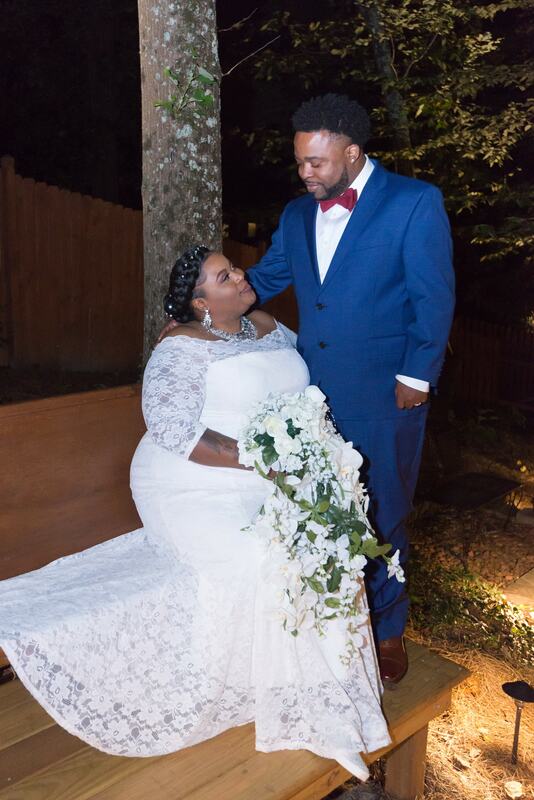 I couldn’t have been more thrilled to have been a part of binding their love and also planning the joyous occasion! Stay tuned for our next blog on Petite Weddings.